これを忘れてはいけない！/ You cannot forget this! It is the middle of winter now, isn’t it? There are many hard things in cold days, but there isn’t only bad things in winter. We are also in the middle of winter gourmet season here in Kanmon now. I grilled these which I got from my friend this time. Here is the wonderful country area, we often get such gifts from somebody. 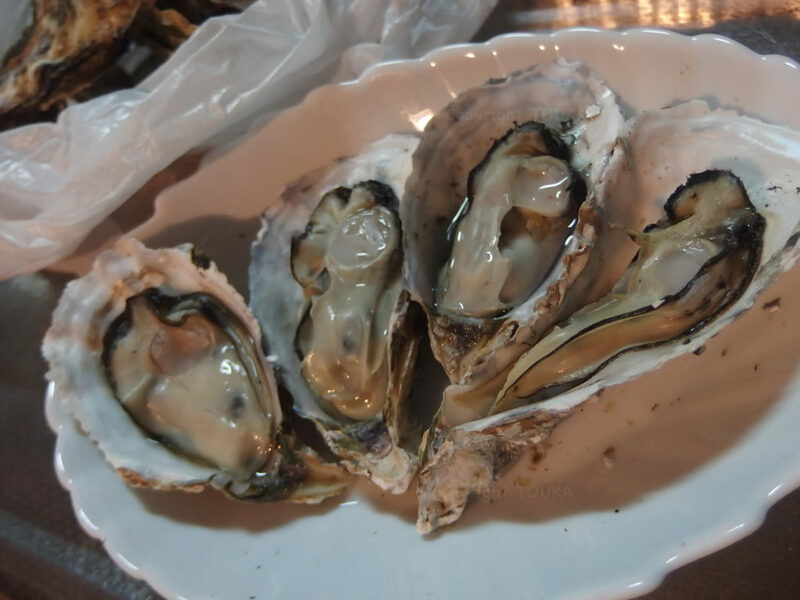 If you are originally from this area and came back this hometown during winter vacation, you cannot forget eating this speciality of this area. Thank you and you have a nice day, enjoying your soul food. 高みの見物！/ Standing by idly on a hill! Standing by idly on a hill! 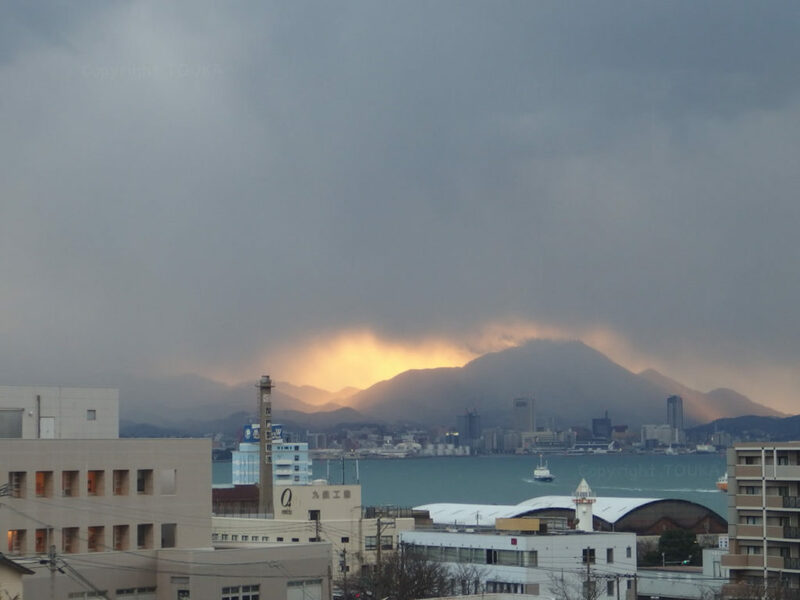 It became very cold suddenly in the couple of days around Kitakyushu and Kanmon. As TOUKA stand on a hill, where we are looking down city central, we can also look the weather far away. We can see the snow falling above the city central today. We are spending time of the year end, watching snow falling on the far away area. Same time we are hoping that the snow won’t come to this direction. Thank you and you have a nice day, having something hot and tasty in cold winter. ザ・平成 “巌流島決戦”！/ The final battle at GANRYUJIMA in HEISEI! The final battle at GANRYUJIMA in HEISEI! 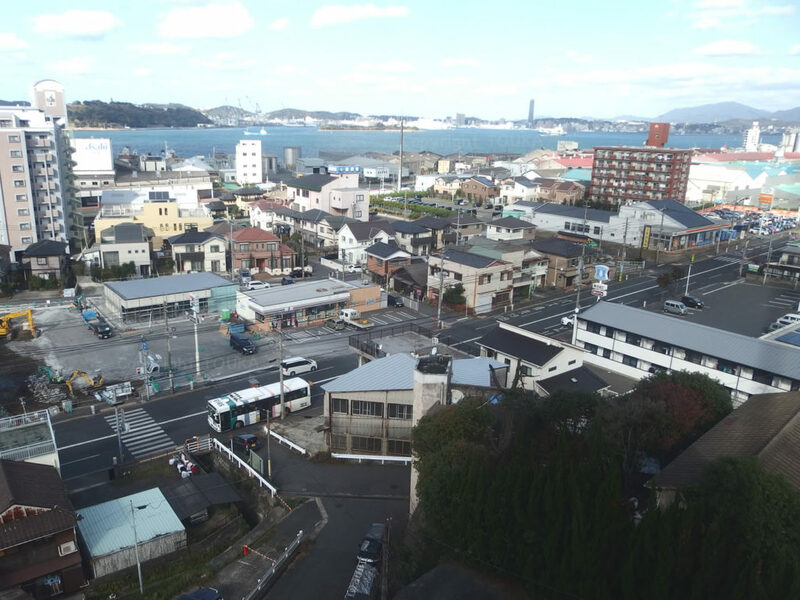 From our guest room, we can see the GANRYUJIMA in the view of Kanmon strait. For Japanese, Ganryujima is famous/serious place for fighting. Recently two top players of SHOGI ( = Japanese Chess ) visited this island to pray for good fighting. When we looked down closer area, we can find another hot battle. 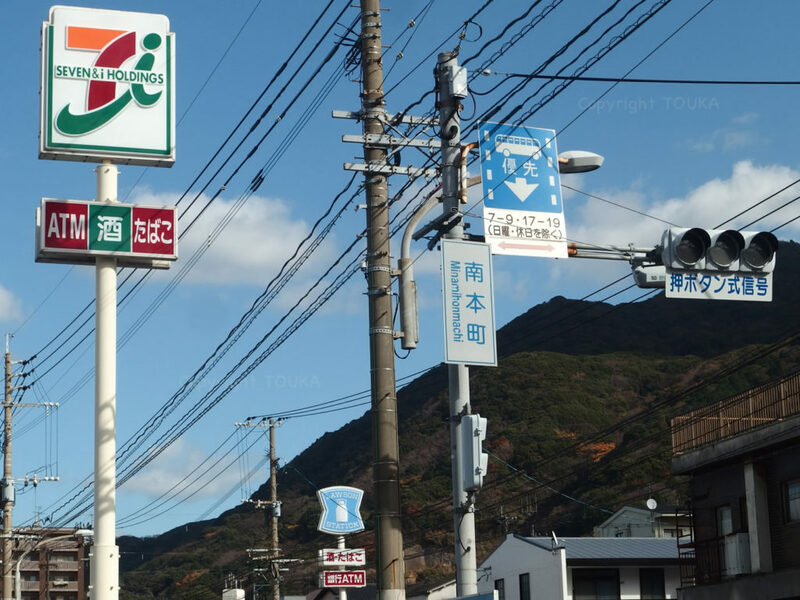 The players of the battle are “No.1 shareholder Seven-Eleven” and “No.2 Lawson”. Lawson came to this place several years ago with bigger shop and parking lot. 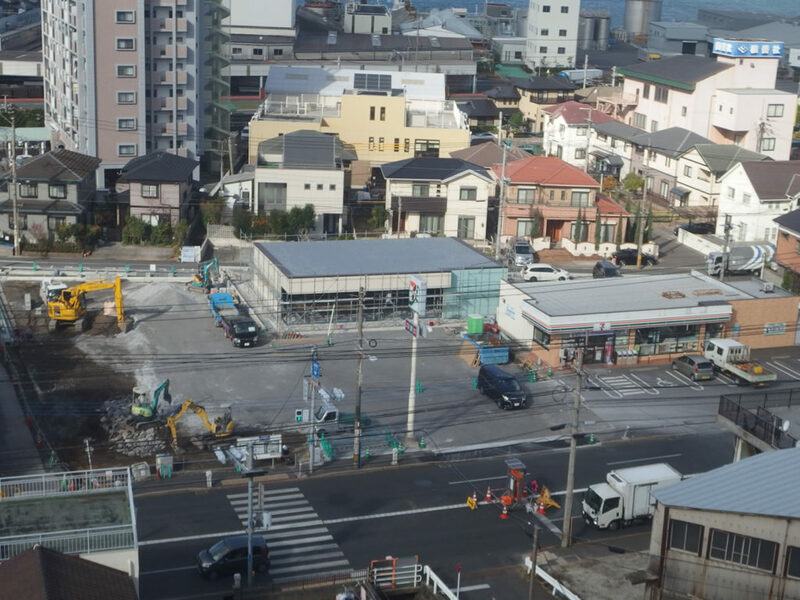 So it seems Seven-Eleven are trying to fight again with bigger shop and parking lot. We guess that the very, very hot battle will be started in coming new year. To tell the truth, this battle makes our guests and us very happy. Thank you and you have a nice day, getting happy fruits from both sides.